Our Kids Waist-It FITS ALL PUMP TYPES. 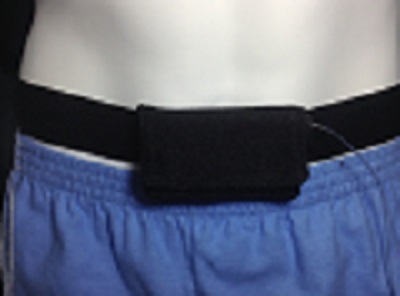 Waist-It fits securely around waist and can be worn under clothing, thru the belt loops on your favorite pants or shorts you can even wear it to bed. Made from a very soft velour, with cut-able elastic straps that Velcro securely around the waist. After putting the Waist-It on, if you have a long tail of elastic hanging, just snip it off for just the right size. No sewing necessary. Great for exercising or under an un-tucked shirt. The WAIST-IT won’t bounce around. Works with all tubing lengths. OUR WAIST-IT's are completely washable. Air dry. Waist-It's WILL FIT ALL PUMPS! You may have to turn your pump around but it will fit. Stretch case out to fit if snug.